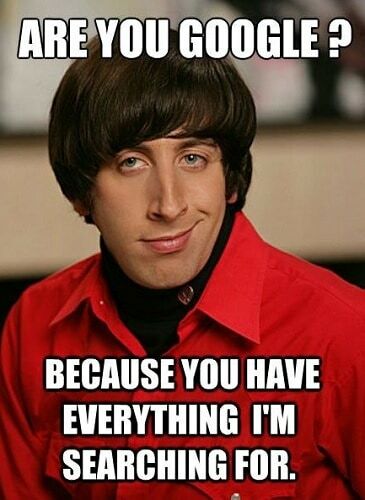 Plaguing the internet for years now are funny memes about guys. While girls often take the hit with the wittiest of memes, it’s the guys which almost always get laughed at by everyone! Perhaps it’s the stereotypes that are all too accurate, or maybe it’s the fact that guys just tend to do dumb things we can’t help but laugh at – either way, these are some pretty killer memes. When pretty much half the world’s population is male, there’s simply an incredible amount of opportunity to create memes about them! By combining the most typical of the male stereotypes with hilarious punchlines, memes are the perfect way of encapsulating the world of the man. From the cave-man nature of guys despite living in the 21st century to the grubbiness and the laziness that trigger women literally everywhere, to their desperate chasing after females with their desires for intimacy… We could probably go on forever. But instead, we’ll jump right ahead with sharing some of the best memes about guys, collected from across social media just for you. 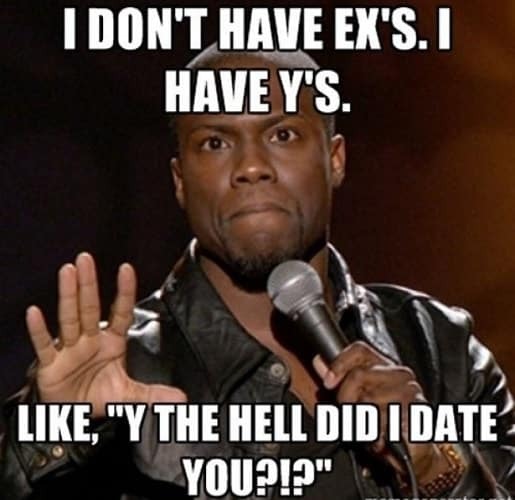 You can also check these funny memes about girls to balance out! 1. 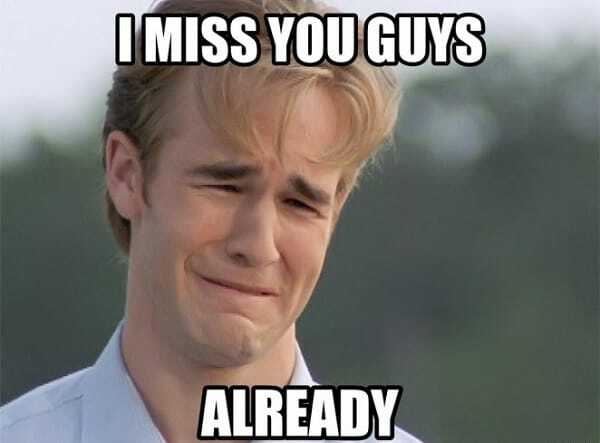 I Miss You Guys Already. 2. When People Tell Me “You’re Gonna Regret That in The Morning”. 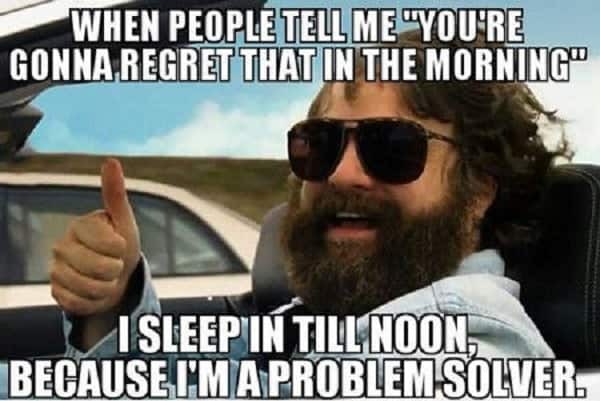 I Sleep in Till Noon, Because I’m A Problem Solver. 3. 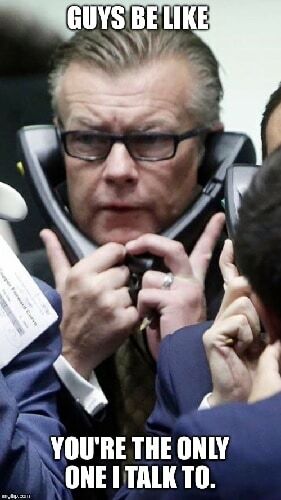 Are You Girls Looking for A Good Guy? 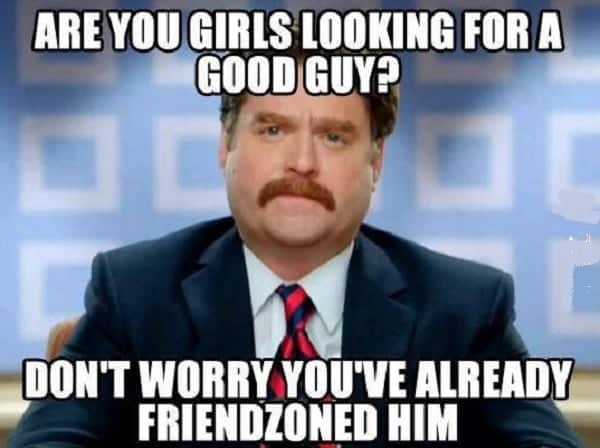 Don’t Worry You’ve Already Friendzoned Him. 4. 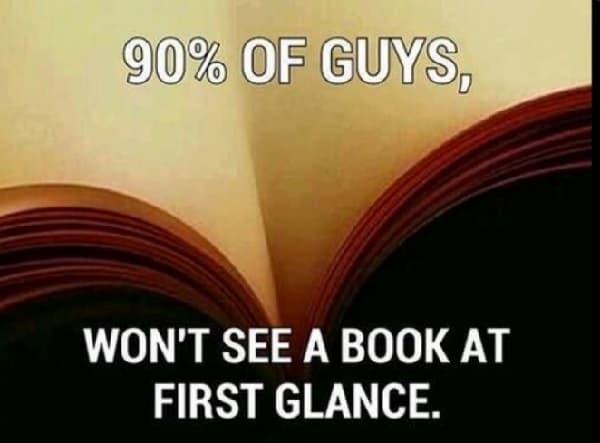 90% of Guys, Won’t See A Book at First Glance. 5. 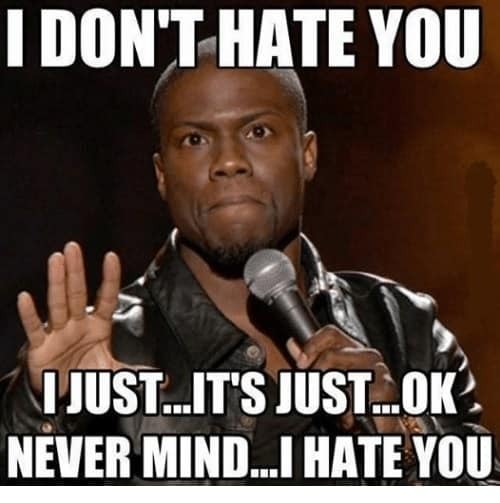 I Don’t Hate You. I Just… It’s Just… OK Never Mind… I Hate You. 6. 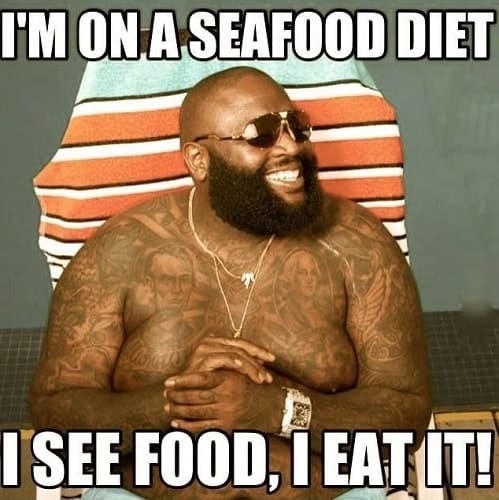 I’m on A Seafood Diet. I See Food. I Eat It! 7. 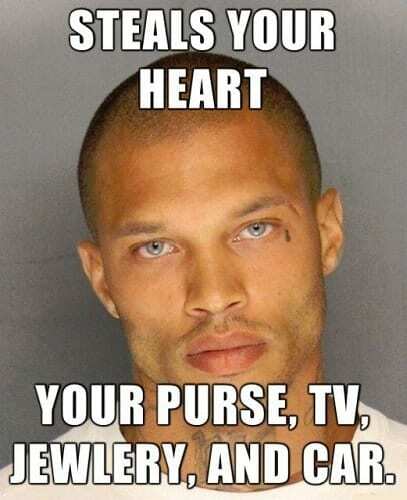 Steals Your Heart, Your Ourse, Tv, Jewelry And Car. 8. 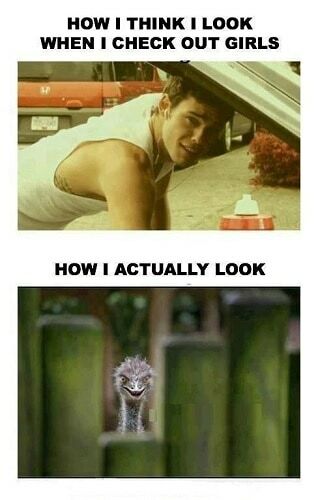 How I Think I Look When I Check Out Girls. How I Actually Look. 9. Guys Be Like You’re The Only One I Talk to. 10. 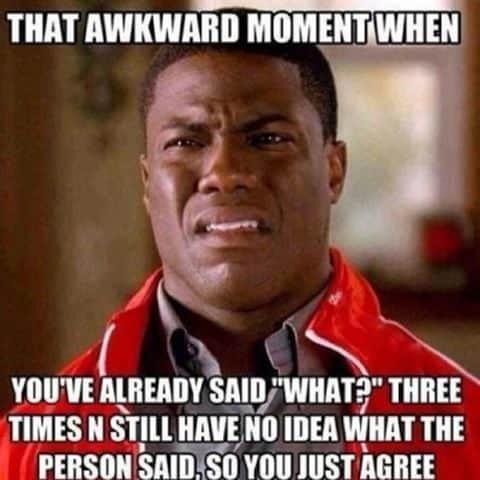 That Awkward Moment When You’ve Already Said, “What?” Three Times And Still Have No Idea What The Person Said, So You Just Agree. 11. 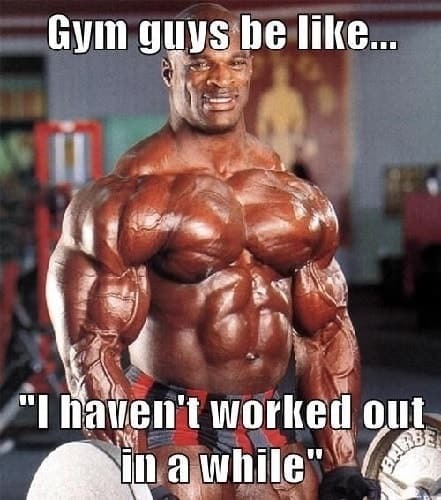 Gym Guys Be Like…”I Haven’t Worked Out in A While”. 12. 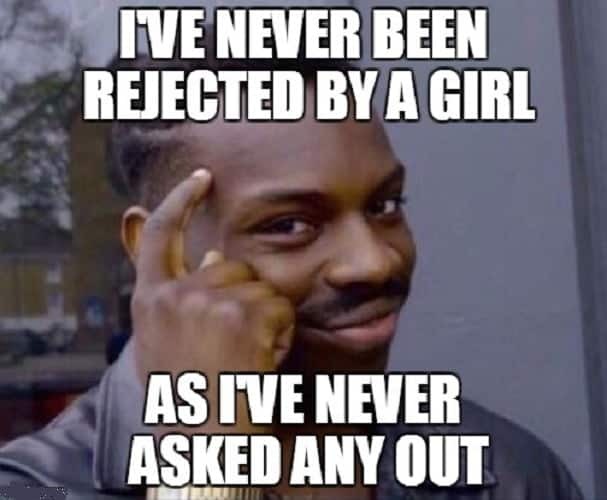 I’ve Never Been Rejected by A Girl. As I’ve Never Asked Any Out. 13. Fighting for A Belt When No One Wears Pants. 14. I Like These Guys. 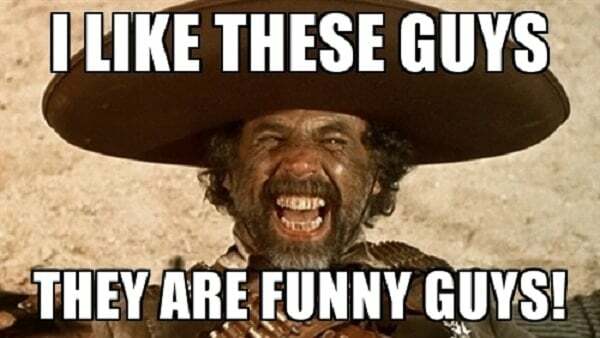 They Are Funny Guys! 15. 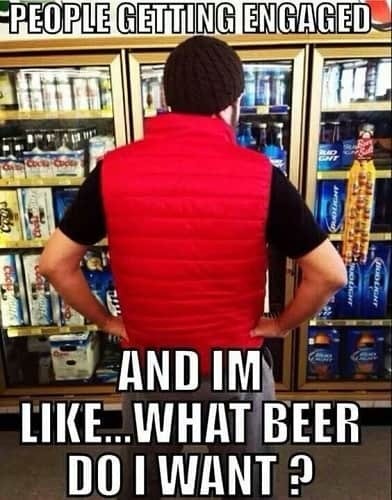 People Getting Engaged And I’m Like… What Beer Do I Want? 16. 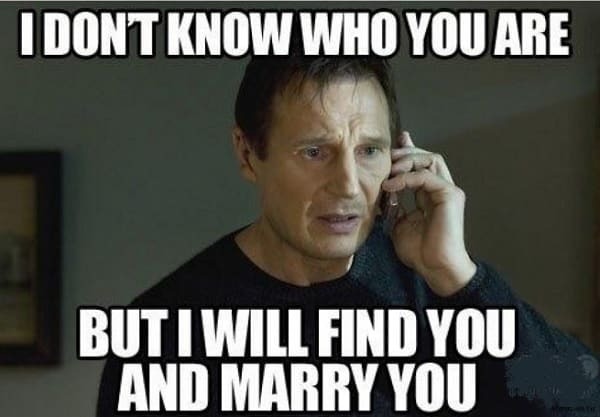 I Don’t Know Who You Are But I Will Find You And Marry You. 17. 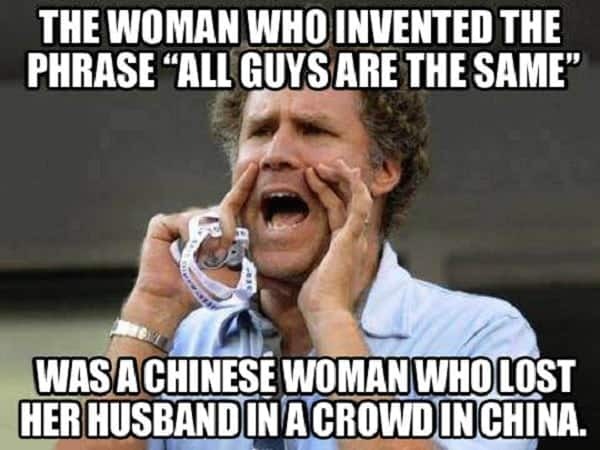 The Woman Who Invented The Phrase ” All Guys Are The Same” Was A Chinese Woman Who Lost Her Husband in A Crowd in China. 18. 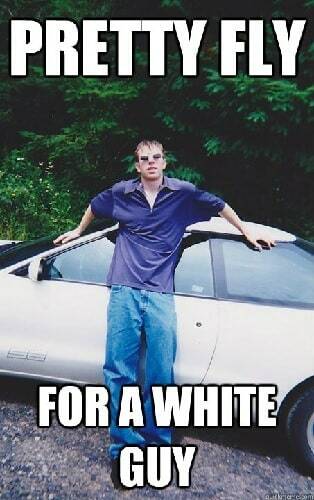 Pretty Fly for A White Guy. 19. 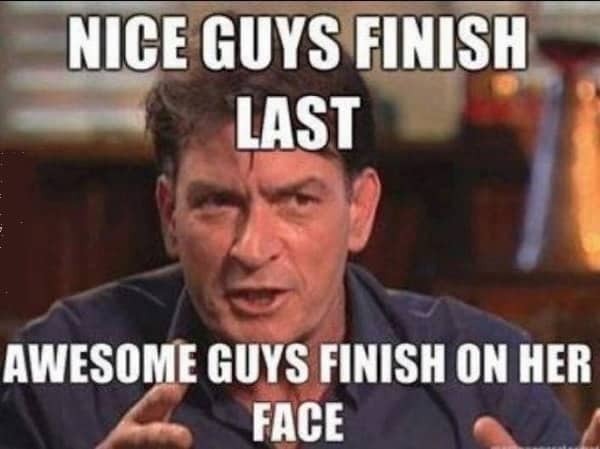 Nice Guys Finish Last. Awesome Guys Finish on Her Face. 20. 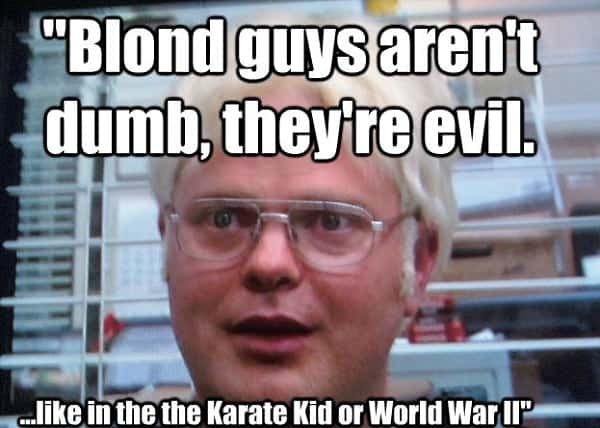 “Bold Guys Aren’t Dumb, They’re Evil… Like in The Karate Kid or World War II”. 21. This Guy…. I Love This Guy. 22. How I See Guys with Beards. 24. 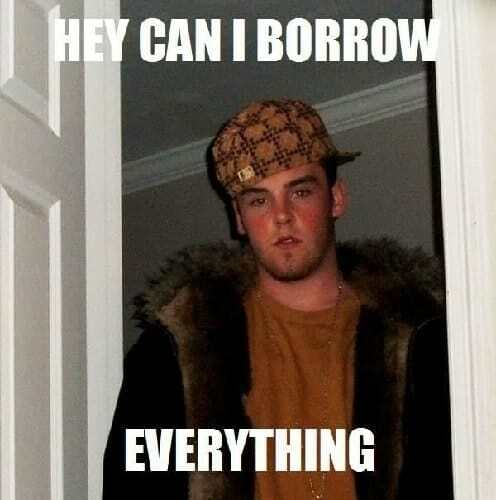 Hey Can I Borrow Everything? 25. 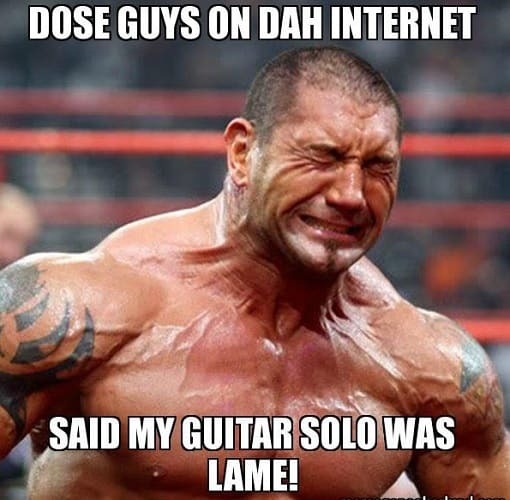 Dose Guys on Dah Internet Said My Guitar Solo Was Lame! 26. 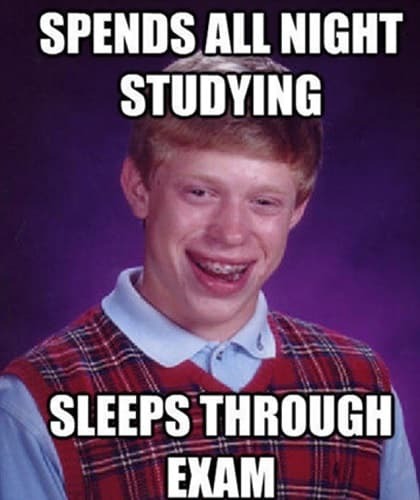 Spends All Night Studying. Sleeps Through Exams. 27. 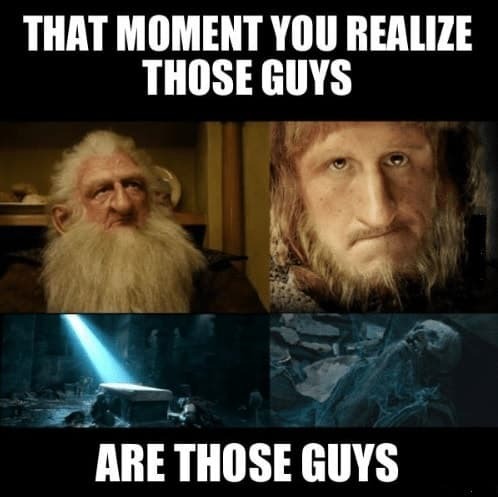 That Moment You Realize Those Guys Are Those Guys. 28. 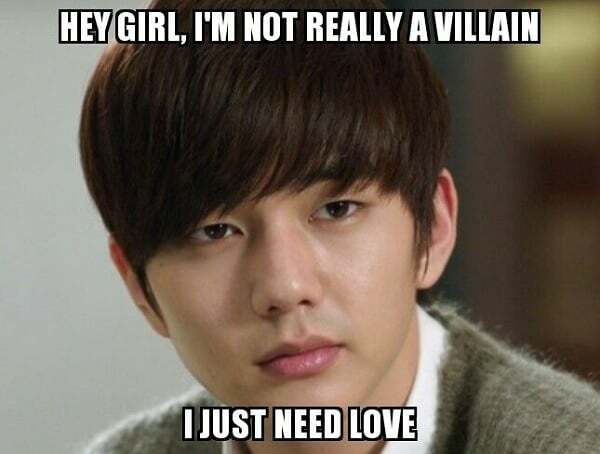 Hey Girl, I’m Not Really A Villain. I Just Need Love. 29. Are You Google? Because You Have Everything I’m Searching for. 30. 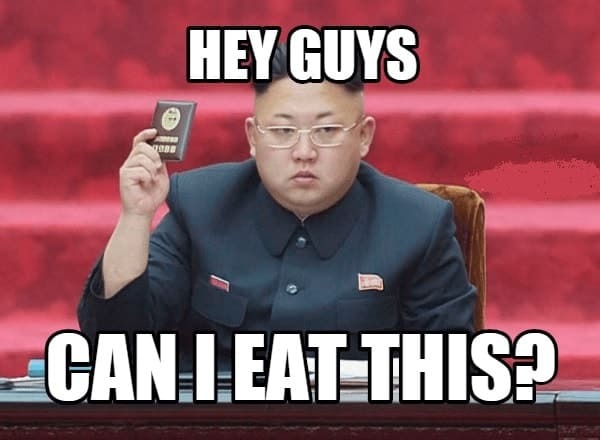 Hey Guys Can I Eat This? 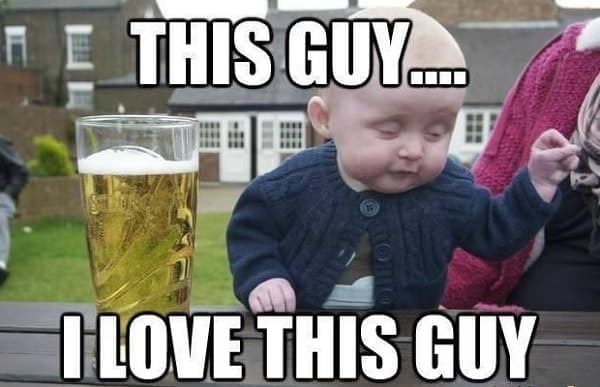 Whether you’re hanging out with a bunch of your guy friends, or even with a whole heap of girlfriends, these funny memes about guys are a sure-fire way of getting the laughter going for everyone. Got some favorites? Do you reckon any of these remind you of a particular guy in your life? Go ahead and share them now!